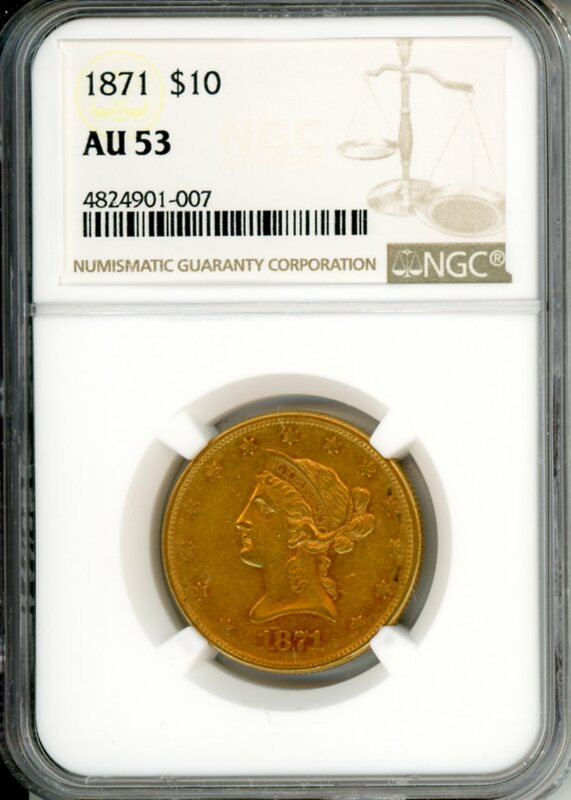 Product description: 1871 $10 NGC AU53 4824901-007. MINTAGE: 1,790. ESTIMATED 60-75 KNOWN. 1871 $10 NGC AU53 4824901-007. MINTAGE: 1,790. ESTIMATED 60-75 KNOWN.